We find buried things, and we forecast the Aurora Australis. We can find and map almost anything that’s buried without digging. This includes lost human graves, archaeology, and soil moisture and soil types such as clay. 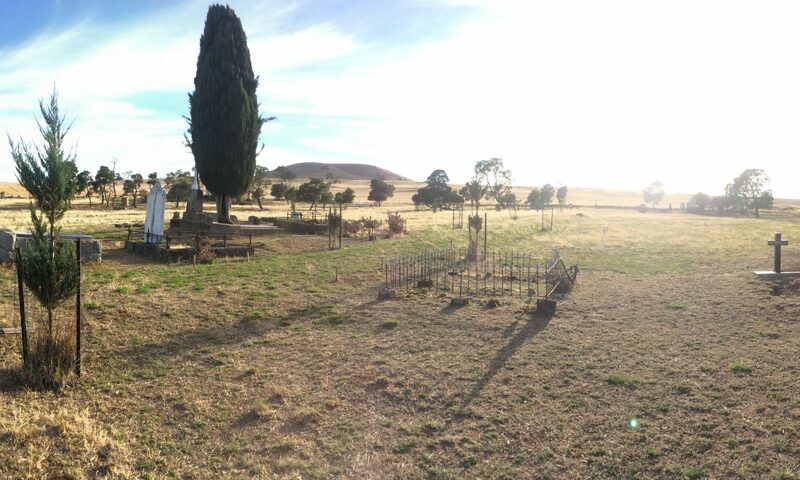 To find out how we can find unmarked graves at your cemetery, see here. If you need anything else that is buried found or mapped, contact us. For information about our aurora forecasting workshops, see here. 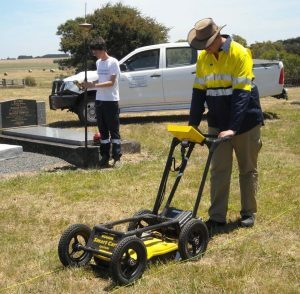 Dave ‘The Grave’ Hunter (right) performs a ground-penetrating radar survey in a Victorian cemetery while Matt (left) uses an RTK-GPS to create a site map.